Thousands more children were forcibly separated from their parents after illegally crossing the US-Mexico border from 2017-2018 than originally admitted by President Donald Trump's administration, an official report said Thursday. The inspector general of the Department of Health and Human Services (HHS), which was given responsibility for the children, said the total number separated under the administration's "zero-tolerance policy" toward illegal immigrants remains unknown. But the department said that so far it has identified 2,737 separated children placed in its care before the controversial policy was officially declared over in May 2018, a number not previously divulged. 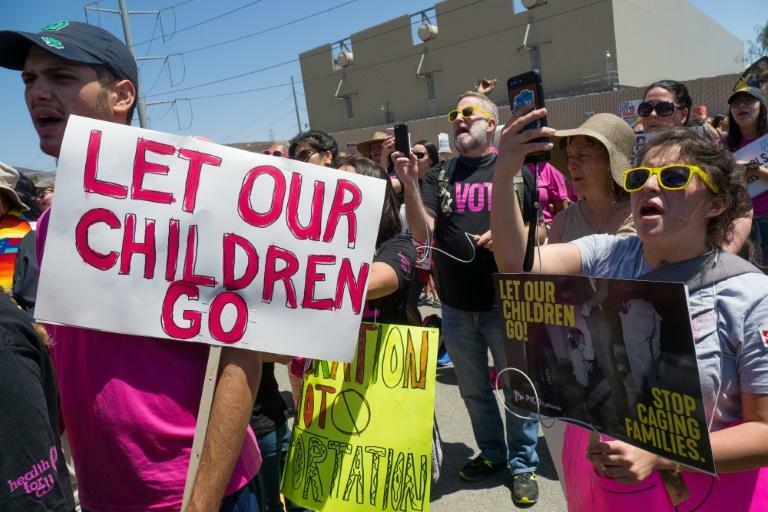 Border officials were told to strip children from their parents to be sent to camps run by the HHS' Office of Refugee Resettlement, eventually to be placed in US relatives' homes. Meanwhile, their parents were to be arrested and charged with illegal entry into the country. Many parents spent months searching for their children. The policy outraged immigrant and children's advocates and was branded a crime by international rights activists. Ordered in June 2018 to better account for the children in its care, HHS identified 2,737 it was caring for at that time. "However, thousands of children may have been separated during an influx that began in 2017, before the accounting required by the Court, and HHS has faced challenges in identifying separated children," the department said. The report contradicted statements by administration officials -- including Homeland Security Secretary Kirstjen Nielsen -- that there was a clear system in place for dealing with the children and that there was not a "policy" of separations. "The OIG report released today shows that the Trump Administration, with its unique blend of incompetence, cruelty, and disregard for basic decency, misled the American public on one of its most heinous policies to date," said Democratic Representative Bennie Thompson, who heads the House Committee on Homeland Security. "Thousands more children were separated from their families than we were previously told -- and we still don't even know exactly how many kids have been ripped from their families because the Administration has failed to keep track." Late Thursday, Democratic New Jersey Senator Cory Booker branded as a "lie" a tweet by Nielsen in June stating there was no separation policy -- and called on her to resign. "Not only was this a lie -- today's shattering government watchdog report on family separation shows the more we dig, the worse it is," he wrote on Twitter. "We've seen nothing but a horrifying display of cruelty and incompetence from DHS Secretary Nielsen -- she needs to resign."